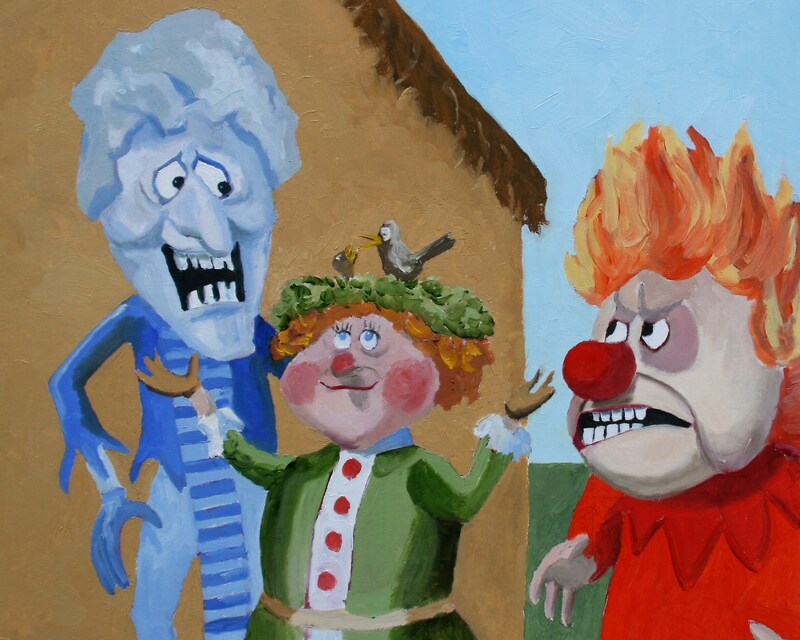 The Miser Brothers don't seem too excited about Mother Nature's plan for Southtown and the North Pole. But, they know better than saying anything but, "Yes, Mother dear." The painting is 10 inches high by 8 inches wide. It is an original oil on a board. The painting has sold and is no longer available. Wonderful print! I bought it as a gift and the fan of the Miser bros loved it! Thank you! Item looks great, thanks so much! Thanks so much for working on this design for me!! Love it!